There are a number of factors that may leave negative effects on your overall joint health, including everyday wear and tear, a poor daily diet, and the aging process. Because poor joint health can play a big role in keeping you from doing the things you love, it's important to do everything you can to take care of your joints. 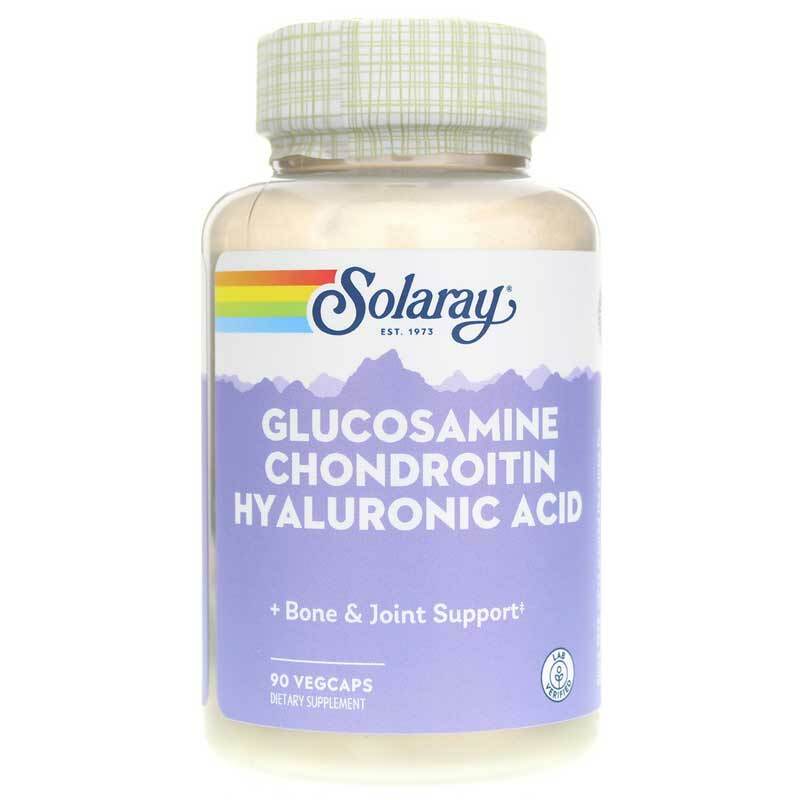 Glucosamine Chondroitin Hyaluronic Acid from Solaray provides three nutrients that play important roles in helping to keep your joints healthy, function, and strong. Solaray's Glucosamine Chondroitin Hyaluronic Acid comes in an easy-to-swallow capsule form that should be taken three times every day in support of better joint health. Don't let unhealthy joints keep you from doing the things you love. 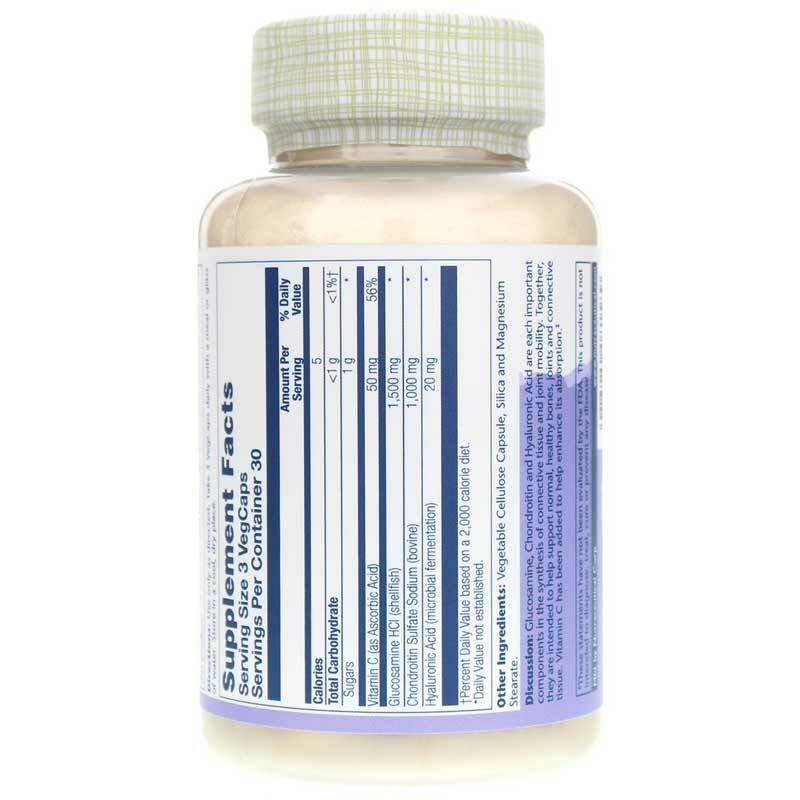 Choose Glucosamine Chondroitin Hyaluronic Acid today, and start living your life the way you want to. Order yours now and see the difference it may be able to make. 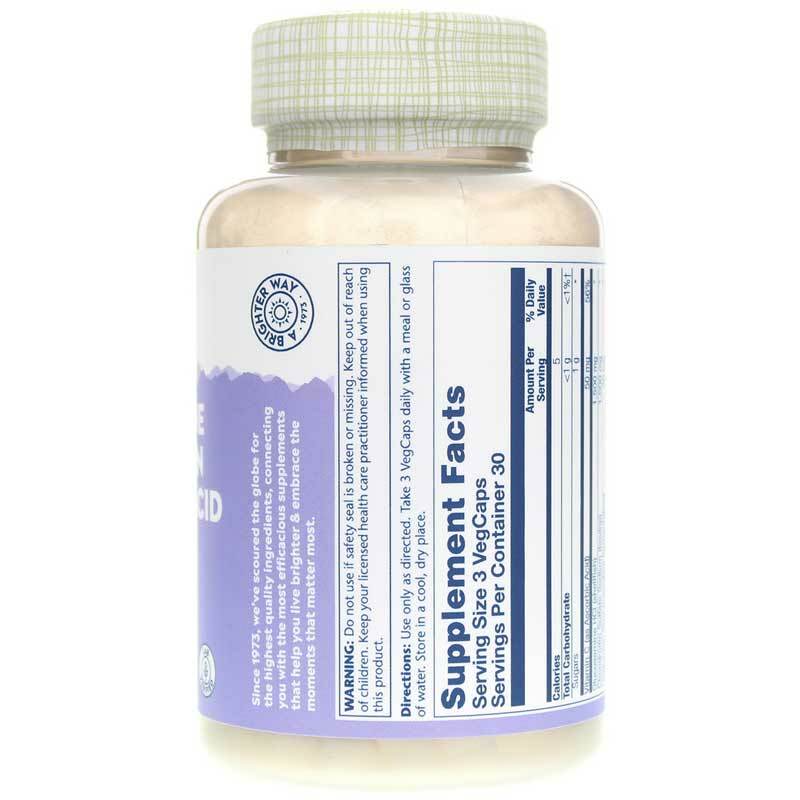 Adults: Take 3 vegetarian capsules daily with a meal or glass of water.